Max Q The latest generation of Max Q Series watermaker from FCI represents the latest evolution of the Max Q model range. Now featuring a V4 touch screen panel for even more control of features making water has never been easier. The optional APC (Automatic Pressure Control) makes the Max Q Series a true “one touch” operation. With production outputs ranging from 110LPH to 292LPH the Max Q Series is available in both Framed and Modular configurations to suit any installation requirements. “The absolute best in watermaker technology” Please contact Products@allmarineservices.com.au for further information. 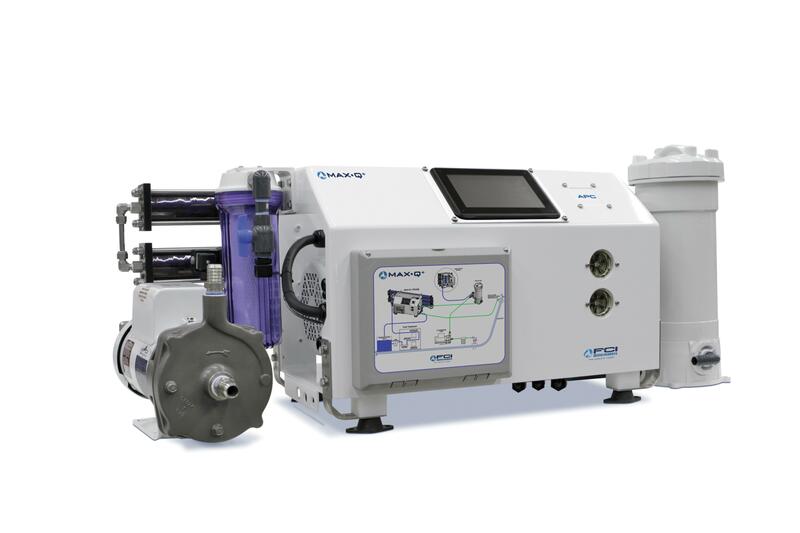 The latest generation of Max Q Series watermaker from FCI represents the latest evolution of the Max Q model range. Now featuring a V4 touch screen panel for even more control of features making water has never been easier. The optional APC (Automatic Pressure Control) makes the Max Q Series a true “one touch” operation. With production outputs ranging from 110LPH to 292LPH the Max Q Series is available in both Framed and Modular configurations to suit any installation requirements.